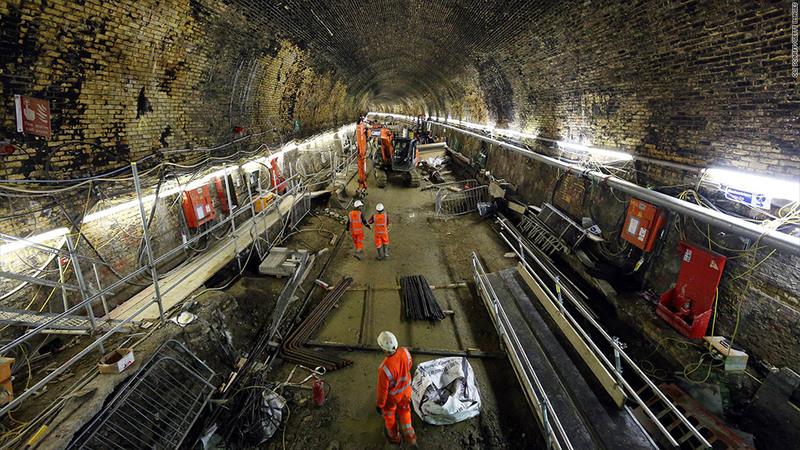 The U.K. should bring forward spending on infrastructure, such as the London Crossrail project, according to the IMF. The U.K. should spend more on infrastructure projects this year and cut corporate taxes to shore up its fragile economic recovery, said the International Monetary Fund. Recent evidence of an upturn in activity was encouraging but the world's sixth-largest economy was still a long way from a "strong and sustainable recovery," the IMF said, following a two-week consultation with U.K. officials. The U.K. managed to avoid a triple-dip recession with stronger-than-expected growth in the first quarter. But retail sales fell 1.3% in April, according to data released Wednesday, raising questions about whether the economy can pick up momentum while consumers remain so cautious. Historically low capital investment, depressed per capita incomes, government spending cuts and weak export markets mean that the risks to the economy are still stacked on the downside, according to the IMF. "The key risk is that persistent slow growth could permanently damage medium-term growth prospects," it said. The IMF also said austerity measures of about £10 billion in 2013-2014 would act as a drag on growth, and the government should offset this by taking advantage of low borrowing costs to spend more on projects such as social housing and repairing schools. "In a range of policy areas, the government should be more supportive of growth than it has been, and it plans to be," IMF deputy managing director David Lipton told reporters. "Accelerating infrastructure spending would provide quite a significant kick to the economy." British finance minister George Osborne reiterated that the U.K. would stick to its medium-term debt reduction targets, but acknowledged it faced a "hard road" to recovery. Infrastructure projects would be discussed as part of a broader review of government spending due in June, he added. Marginal corporate tax rates could be cut to encourage investment and the government could introduce tax allowances to make it cheaper for companies to raise equity, the IMF said. And measures to offset the budgetary impact of increased capital spending and lower taxes should only take place over the medium-term. "In essence this would allow the (fiscal) adjustment to take place in a more back-loaded fashion and provide more support for the economy at the front end," Lipton said. The IMF cut its forecast for U.K. growth in 2013 by 0.3% last month, citing depressed demand, and said the government should think about taking a more flexible approach to cutting the budget deficit. Fitch Ratings followed with a downgrade of U.K. debt to AA+ from AAA, citing the impact of weak growth on debt and deficit levels.